No one likes spending thousands of dollars on a home upgrade nobody can see, but a top-notch HVAC system is well worth the investment. Sweltering in the summer and freezing in the winter makes life miserable. Your home’s cooling and heating system, or HVAC system, is crucial to your comfort – and it should be energy- and cost-efficient as well as effective. Upgrading your cooling and heating system can make a world of difference inside your home. 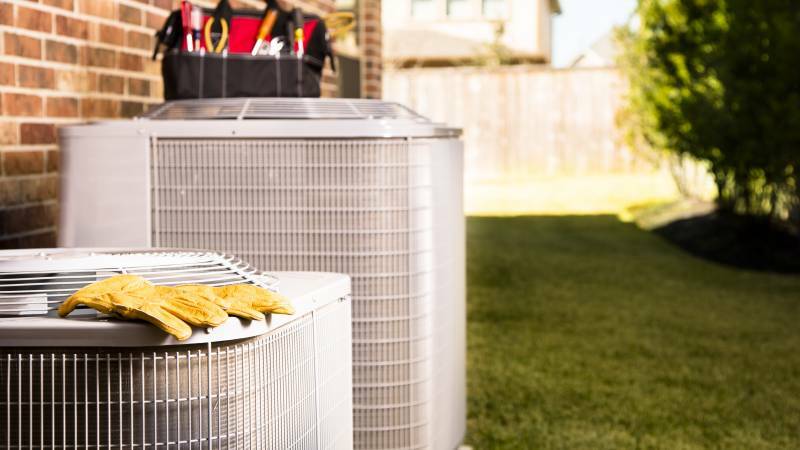 Here’s why you should consider upgrading your HVAC system today. An HVAC unit is designed to provide heating, ventilation and cooling. Settings are adjustable for the seasons or temporary weather changes. Proper ventilation is especially important. A good system replenishes oxygen, keeps air circulating, and regulates moisture. It can also remove annoying or potentially harmful elements like smoke, dust, odors, airborne bacteria, and carbon dioxide. All-in-one HVAC units are now standard in new construction, and they’re also the best choice for upgrading aging homes. HVAC systems that are everything you need in one unit deliver more uniform heating and cooling to your home. Cutting-edge, comfort-monitoring units even allow you to program your own preferences. Energy Efficiency: According to NHSaves¹, a public-service collaboration of New Hampshire electric and natural gas utilities, HVAC accounts for 51 percent of a building’s energy use. However, the newest systems are so sophisticated with programmable thermostats, you can set the system so energy isn’t wasted while you’re out and about, and you’ll see the savings on your energy bill. Longer Life Span: Better materials, technology, and engineering give today’s HVAC systems a much longer life expectancy than their predecessors. Depending on the climate and your lifestyle, ACHRNews.com² reports you can expect your unit to last anywhere from 10 to 30 years. Streamlined Maintenance: Separate heating and cooling systems usually call for separate technicians and separate trip charges, so you’ll save on repair and maintenance with a single HVAC system. The convenience is also tough to beat. With split systems, you may have to schedule several different maintenance men – but one system means one professional. Return on Investment: Modern, well-maintained HVAC systems are highly attractive to homebuyers. A state-of-the-art system will boost the resale value of your home if you ever decide to sell. Tax Incentives: Your state or local government may give you a break on your tax bill for choosing an energy-efficient HVAC unit. This is a great way to save money and positively impact the environment. Are you ready to upgrade your heating and cooling system? Have a local contractor take a look at your property, answer questions, and advise you about the best system for your needs. Choosing the right HVAC system is crucial. Most homeowners assume bigger is better, but that’s not necessarily true. Initially, you’ll be thrilled with your jumbo-sized unit because it heats and cools so quickly, but you may soon find yourself sticky and uncomfortable. That’s because a system that’s too large takes longer for the sensors to gauge humidity levels. Bigger systems also cycle very quickly, creating frequent starts and stops that result in higher utility bills. Avoid these problems by working with an HVAC professional or technician. Qualified technicians go through every room of the house to complete an accurate load calculation. They consider the climate in the area and insulation of your home, factoring in skylights, fireplaces, ceiling heights, windows, window treatments, and even the number of people in the house. There’s no guesswork, so they can recommend an HVAC system that you’re happy with. To find the right professional, search online for a reputable, experienced technician or company in your area. Read online reviews and testimonials. Look for someone who keeps current on the latest HVAC technology. Yes, a modern HVAC system is an investment. Once you’ve made it, though, it continues to pay off for years to come. If you’re interested in upgrading your HVAC system, start a search today. 1 NHSaves, Commercial HVAC: Fifteen Energy-Saving Technologies 2 ACHRNews.com, HVAC System Life Cycles: How Long Should It Last?